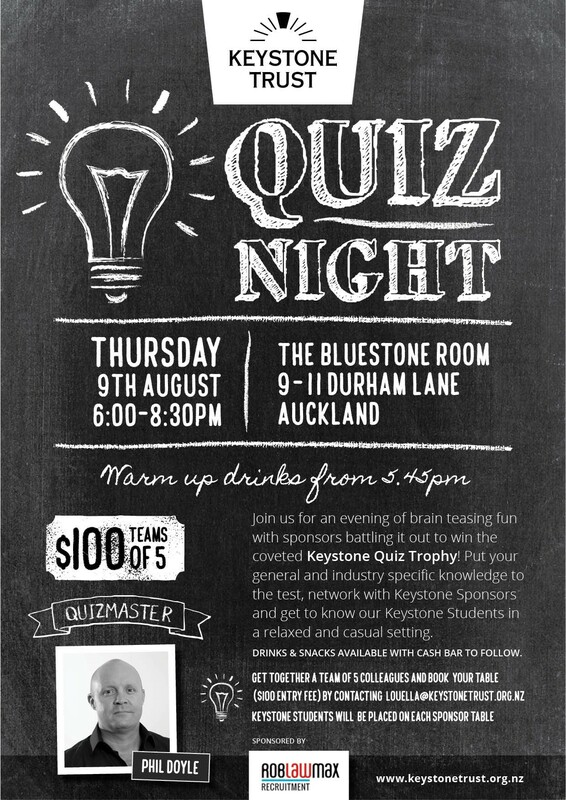 Join us for an evening of brain teasing fun with sponsors battling it out to win the coveted Keystone Quiz Trophy! After a fantastic response to last year’s event, we are very excited to be bringing back this fun and slightly crazy event for 2018! We are extremely pleased to welcome back leading Construction and Engineering recruitment agency and Keystone supporter Rob Law Max as our premium sponsor for this fun event! Grab your brainiest 5 colleagues and we will give you the added bonus of a Keystone student, just to ensure you can tackle the more challenging questions. Last year’s winners Rider Levitt Bucknall are primed to retain the converted Keystone Trophy, but will be in for some stiff competition from some the brightest minds in the industry!